In a freelancer-client relationship, there are myriad of factors involved which determine the future of this relationship. While many newbie freelancers do not consider the need to thoroughly question their clients for every project they take, experienced freelancers know the importance of putting forth relevant questions before clients to ensure credibility and better performance from both sides. The questions we are talking about enable a freelancer to fully appreciate what they are engaging with, why this particular client wishes to work with you, what projects you will be assigned, whether they will be strictly limited by deadlines, and what not. 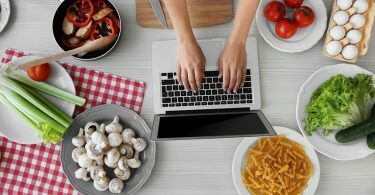 By getting answers to these fundamental questions, the freelancer will be in a better position to judge and decide as to whether to take up or continue with the projects. 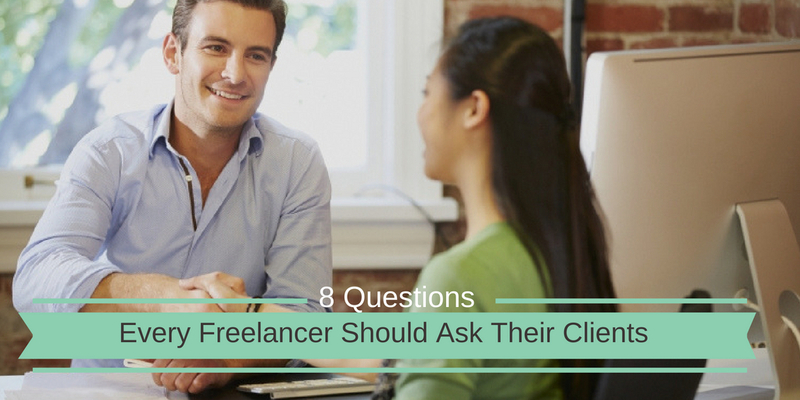 In this article, we have, for the convenience of our readers, listed 8 extremely important questions which every freelancer should consider asking their clients before starting to work to make a well-informed decision. 1. Is This Your First Work Engagement With Any Freelancer? Now many of you might be wondering why we need to know this—but you should know the answer to this question for two reasons. First of all, the answer will reflect upon the experience of the client in handling a relationship as fluid and physically disconnected as that of a freelancer-client. In case you are the first one with whom they are working in this capacity, then you should expect a lot of start-stop moments during the projects, mainly because the client may not be able to handle these situations as professionally as he should. Secondly, the information provided will help you measure their satisfaction with the freelancers they previously worked with and why they decided to make a switch. You will be able to understand the behavior of the client towards work and freelancers. For example, many clients are dictatorial and will push freelancers unreasonably causing friction in their relationship. 2. How Much Important This Project Is For You? The degree of the client’s involvement in the completion of the project depends upon the importance of the project for the client. You should, therefore, try finding out why the client decided to begin with this project. To elaborate on this, we mean that you should ask him about his expectations from the freelancers. By the answer you receive, you will be able to assess whether the project holds priority or is just a side one. While asking this question, ask them how they wish to have the final product look like. The answer you get will give you a clear picture as to what the client actually wants. If they are entrusting you with a very important project, then you can consider yourself quite capable because they would not have chosen you unless you were qualified for the same. 3. What Is The Estimated Budget For This Job? Generally, freelancers find work on the mainstream freelance websites such as guru.com where clients usually post estimated budget. However, whether or not the budget has been posted, you should personally ask them about it. There are two reasons why asking this question is important. Firstly, this question is a more euphemistic manner of asking “whether I will be paid?” and in case the client shows reluctance in discussing the budget, then you can easily gather whether or not he is serious about paying you upon the completion of the project. It is highly recommended that you do not pursue engagement with a client like that. Secondly, you should also watch out for those clients who boast of handsome pay-outs, especially on a project whose market you know is running low. In case you are getting such handsome pay-out, keep your eyes open and do not go along with it unless you are absolutely satisfied. Freelance projects rarely run for more than six months, but this is not applicable all the time. It, therefore, becomes important to know the time duration of the project. Another fundamental question, which you already know, is to know how long you will be ordinarily required to work with the client. This question covers several sub-questions such as whether the project runs on strict deadlines; whether there are penalties in case deadlines are missed; or whether you can quit the project halfway. It is always better to have a long-term relationship with a client, especially if he is an adorable and incredibly understanding human being so rare to find in the freelance community. Always discuss the deadlines before picking up any projects so as to avoid any under-performance from your side. Once you know the time duration of the project, you will be best placed to allocate your resources and time in the completion of the project and other engagements in your life. So, find an answer to this question! 5. Is There A Likelihood Of An Increase In Work Or The Load Will Remain The Same? Every freelancer should aim for regular business and a long-term relationship with clients as much as possible, particularly a good-paying client. Sadly, freelancers tend to keep changing their clients which often end up disrupting the flow of money. During the negotiation time, you should ask your client whether the project presented to you is just a one-time engagement or that you can expect a gradual increase in workload. While there is nothing wrong with working for short-term projects, it will also entail repetitive hunt for new clients, causing you to negotiate all over again. If the client is offering an opportunity for a long-term project, it is always preferable to go along with it unless you find the terms of work not up to your satisfaction. 6. Who Will Be The Holder Of The Intellectual Rights? This question is extremely important for those freelancers who are engaged in content creation and programming. However, every kind of freelancer should ask this question during negotiations. Reputation is an important asset of a freelancer, and one of the ways you build a reputation is by creating a product and putting it up in public space. 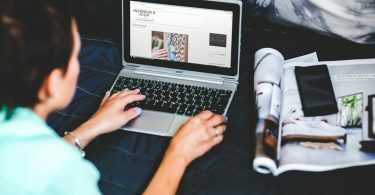 For example, a freelance content writer will be able to gauge his writing skills and overall performance through the feedback he receives on his article on the website where it is posted. There are, however, agreements which require freelancers to give up on their intellectual rights. Go through the agreement carefully or personally ask the client about this to know whether or not you are ready to give up on rights for money. In case the agreement allows you to keep the rights but the client infringes upon your rights eventually, then you can have a claim against him and can seek compensation. It is, therefore, recommended that you always insist on a written agreement to know your rights better. 7. Do You Need Regular Updates On The Projects? There are different types of clients: some require you to submit the project for an evaluation on a certain date, and some require you to keep posting to them updates during the course of the project. Thus, it is necessary for you to know what type of client you are dealing with. By knowing the answer to this question, you will be able to decide whether you can actually work with a certain type of client. It is recommended that you avoid working with clients who constantly nudge you about the project or press you to meet the deadline every hour or so. Such clients cause irritation which disrupts the quality of work and causes more annoyance than ever. Whatever the client answers, you should, nevertheless, consider sending updates to your clients whenever necessary, For example, inform your client that you might be running late in your submission due to certain reasons. This amounts to a reasonable update; however, if you keep updating them about, for example, the number of pages you have completed every hour, then you should just stop. 8. What Are The Terms Of Payment? Freelancers are most worried about payments because there is always a risk of not getting paid on time or ever. That is why it is absolutely necessary that you question your clients as much as necessary about payments. However, never ask this question first because clients do not like people who are all about money and have no interest in the project. After having asked all necessary questions, ask them about the terms of payment. The question includes many sub-questions such as when the payment will be made; whether you can expect an early payment on the first batch of work you submit; what the mode of payment will be; and what not. Also, ask them whether the project is fixed or hourly. If you are applying for work on freelance websites, you might get to know previous pay-outs which your client has made. If no such information is available, then ask about it personally.